As 2016 is coming to an end, a lot of companies are thinking about and planning ways to increase profits in 2017. If growing your profits is important to you in 2017, then this article was written for you! In answering these questions, it is likely you’ll get several ideas on how you can grow your profitability in 2017. Remember, growing profits does not necessarily mean you have to work harder. Sometimes, we just have to work smarter. · When is the last time you made increases in your pricing? · The last time you increased pricing, how did it affect your business? Did you lose any customers because of it? · What is your company’s net profit margin? If you increased your pricing slightly (by 2 – 5%), what would happen to your net profit margin? · Are you doing a lot of discounting? If you are discounting, do you think it’s helping your bottom line (by increasing sales) or is there a chance you’re just giving money away? 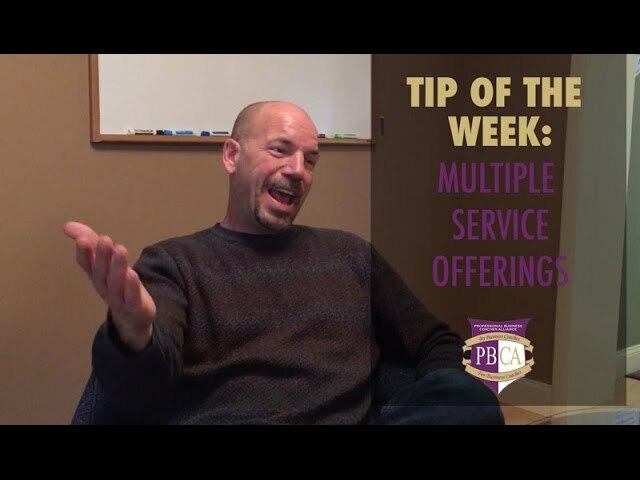 · Do your salespeople sell on price, or are they clearly articulating the value of your product/service to your customers and earning business through increased quality and/or increased service rather than commoditizing your product/ service? · As your own costs of doing business have risen, what have you done with your own pricing to be able to maintain your margin (or improve it)? · Is it time to consider raising some or all of your pricing? · Do you have an effective Selling System, or “Sales Model,” or are your salespeople flying by the seat of their pants? · Are you actively courting a list of “Top-10” prospective customers (or clients), or are you ignoring the larger prospective accounts that could make a big difference in your sales revenue? · Do you have systems in place to follow-up with lost customers to earn back their business? · Are your salespeople digging deep to determine what other products/services you could offer to your existing customers? · Are you earning a favorable return-on-investment from your marketing efforts? · Is your marketing message fresh and relevant, or are you just using the same text you’ve always used? · Is organic sales growth your best strategy moving ahead, or is it time to consider the pros and cons of buying a competitor to gain market-share? · “Labor costs” are always significant. Are you fielding a team of superstars, or do you have some people on your team that are probably not a great fit for your team? · Are you currently overstaffed? Sometimes, companies have people on their teams who aren’t able to fulfill their entire job duties, so they hire additional people to sure up those weaknesses. That results in bloated payroll. Are you currently employing extra people to make up for the weaknesses of people on your team? · What would happen to your profitability if you were to invite a poor-performing employee to find another line of work where he/she may be more successful? · Where do you have expensive waste? What systems can you put in place to greatly reduce or eliminate that waste? · Do you have any unprofitable customers? What should you do about that? · What services are you currently outsourcing a lot of that may make sense to bring in-house? · What services are you currently doing in-house that may make sense to outsource instead? · Is there a less-expensive way for you to finance your debt? · Do you have recurring errors in your business? If so, how can you improve your training or your systems to make sure those costly mistakes get eliminated? · Could technology updates (or new technology) help increase efficiencies? · How could you streamline your company operations (in every department) to reduce wasted time? · How could you improve your planning in order to maximize your efficiencies? · How can you eliminate mistakes? · How can you improve communication between the different departments in your company to make sure everyone is working together and helping reduce wasted time? Would updated systems help to do that? · Does your company have formal training programs for new hires and continued learning opportunities and cross-training for existing team members? This article was not intended to comprehensive. It was just intended to get you thinking and spark a few ideas to help you get going in making 2017 your company’s most profitable year so far!